I know this was supposed to be posted yesterday but I've been suffering from food poisoning/stomach bug/non-awesomeness for the past few days. To top that off, my two pups decided to get sick on me last night too. 10 mounds of throw up don't make for a fun night. Please e-mail me at shalynlnelson@yahoo.com with your full name & shipping address. I will then get this little baby sent to you asap! Shay I hope you are feeling better and there is not marinara sauce covering your floor! just found your blog & i am in LOVE with it! 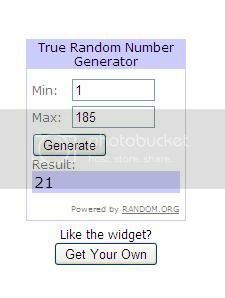 what a cute giveaway :] your newest follower! hope you're feeling better! hope the babies are feeling better too!